I will make things. And they will be made. 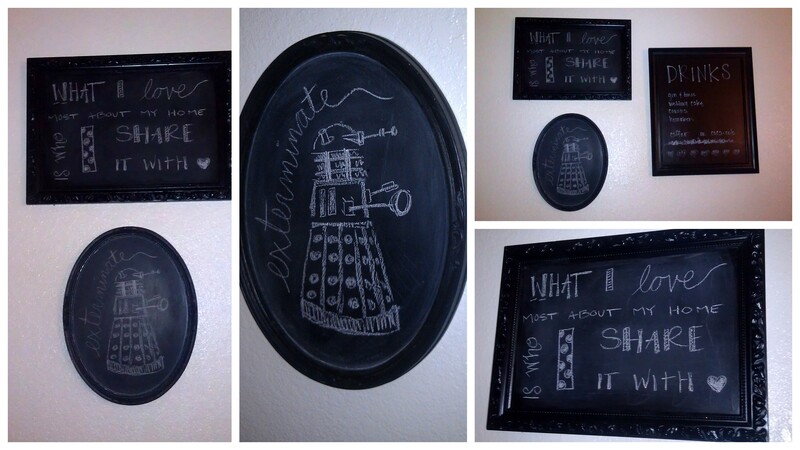 I know I’m a bit late with the chalkboard paint craze…. but that is mostly because I am supremely lazy. I finally got the paint when I started making things for my wedding. 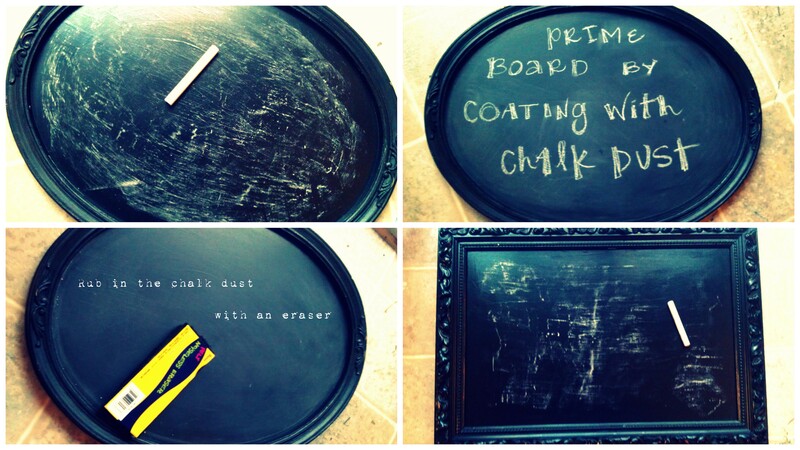 You see the ornately framed DIY chalkboards everywhere on Pinterest. They are incredibly easy to make and so cost-effective! We only had four months to plan our wedding, and only $6K. We had saved up half, and my mom contributed the other half. That meant cutting as many corners as possible! Instead of paying for paper programs, I made a chalkboard! Instead of printing a menu, I made a chalkboard! 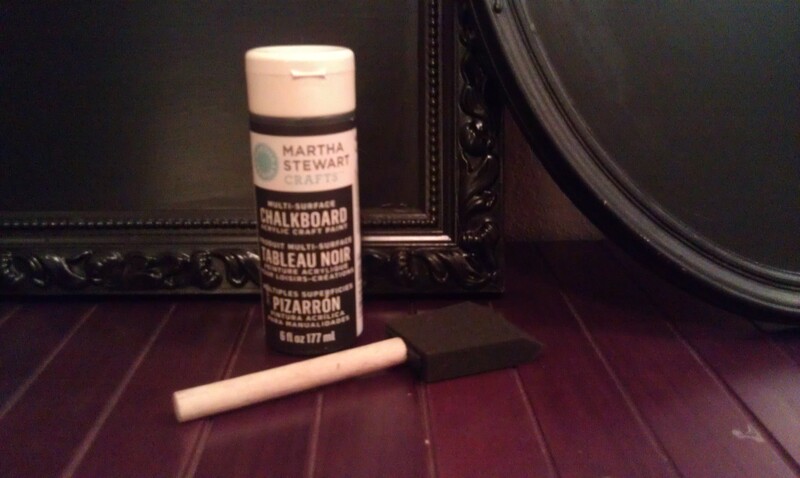 Then I picked up some chalkboard paint. I saw this tutorial on making your own paint, but I was in a bit of a time crunch and didn’t want to risk anything going awry… I will probably try it out now that I’ve got free time again! It looks much more affordable than the Martha Stewart brand I picked up. 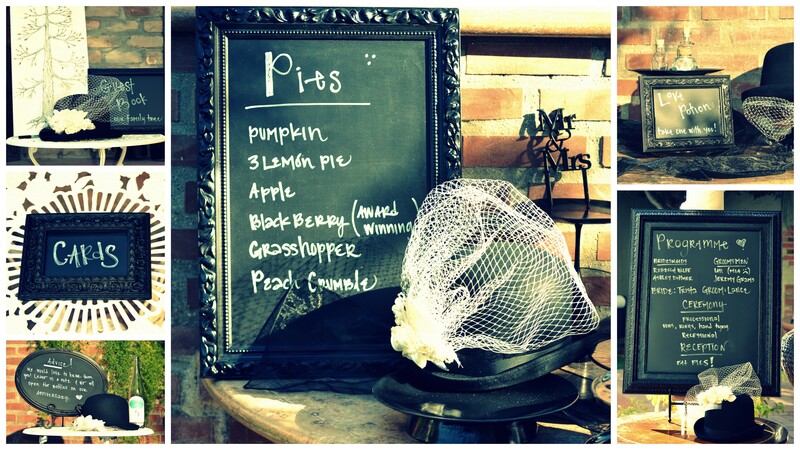 To save time I grabbed a chalk pen and I forgot to prime the chalkboards….. They looked great for the wedding, though! 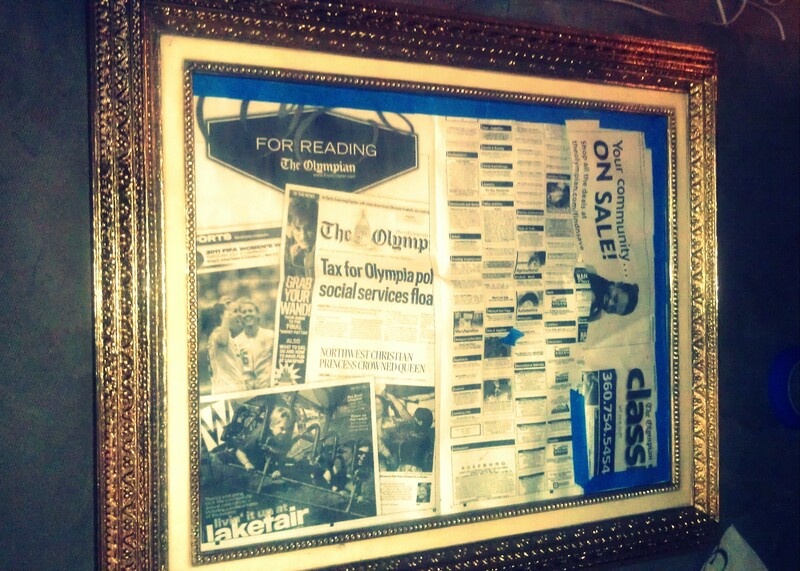 Once we got back from the wedding, I repainted the chalkboard frames. And properly primed them! So now I can change them as often as I like. My husband requested that we keep the drink menu as it was his favorite. Know what caught my eye on this one? I did one of these: “OH MY GOD IT’S A DALEK!! EXTERMINATE” I’m sure my neighbors think I’m crazy now…. A wannabe writer doing what she knows the best. love what you have. have what you love.